Created for the convenience of family friends and fans. For the fan site click the link below. Dates in Red are changes, special events, newly added or venues that need a little extra support. Short personal notes are welcome but, please don't send forwards and jokes etc. Note: All spam will be reported. Please support Tommy, all live music and venues who host it. Thank you! MAR 15 FRI - AMERICAN LEGION 7-10 42 S Tulpehocken PINE GROVE PA Call a head for Res 570-345-8050 Sells out fast! centrally located off Airport Rd In Valley Plazza at 1860 Catasauqua Rd. Allentown, PA. For Reservations Call (610) 266-8011. 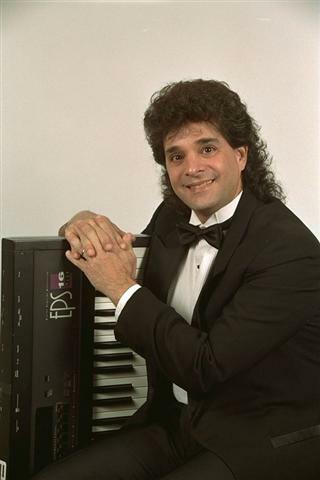 APR 17 WED - THE JETPORT Lounge 6-9 AT 3400 Airport Road in front door of the DAYS INN, Allentown, PA. Call 347-437-0809 for RES. MAY 04 SAT - AMERICAN LEGION 7-10 42 S Tulpehocken PINE GROVE PA Call a head for Res 570-345-8050 Sells out fast! MAY 18 SAT- THE JETPORT Lounge 7-10 AT 3400 Airport Road in front door of the DAYS INN, Allentown, PA. Call 347-437-0809 for RES. EVERY Friday is - The Buccaneer (Ice Cream & Candies) 8:30-10:30 June 14th thru Aug 30th 2659 DUNE DR. AVALON, NJ. JUN 23 SUN - EMMAUS PARK Arts Pavilion 5-8 1401 Shimerville Rd. Emmaus, PA. Open public concert, food & drink stand near by. Note: To help keep the doors open of places still offering live entertainment, Please support them by visiting when ever possible. Hours are subject to change, so please call the club to confirm, check this schedule site or visit the Fan Site at: http://tommyzito.50webs.com. If your postal or email address is about to change or you’d like to sign up for the mailing list, please tell Jan or email request /w info. Although Tommy is normally booked up 2 years ahead, we may have dates in 2017/18 available. Occasionally some do open if a corporate event needs to switch to a weekday. To be placed on the client waiting list for openings, or for a brochure and/or open dates ask Jan, call the office at (610) 261-1848 or email JTZito2001@aol.com. NOTES: 1. Private & corporate events do not appear on this schedule. Also, unless otherwise stated. 2. Most clubs and lounges are 21 & up. but, you can call the club on their individual policies, when considering bringing children. OTHER NOTES: Due to the smoking ban, economy and undercutting, it is more important than ever to support your local area clubs & favorite performers. Lately, clubs have been forced to book live entertainment less, and cancel bands due to insufficient early reservations. Without early reservations, managers fear low attendance will not enable them to cover entertainment expenses so, please call well a head. Although these issues are affecting most of us right now they should not stop us from getting out to have a good time, see our friends and show our support. The following are a few ways to do this. A. And most important, is to make your reservations early, a month in advance if possible. B. Come out, order dinner and only have one or two instead of a few. C. If you like to have a few and the % law is keeping you from getting out, don't let it. Organize a group of friends, with a designated driver, to go with you or call a cab. E. Or, where applicable, Just stop by for a snack & a soda. Have fun and show your support but, please do it safely. 2012 - Proclamation of Remarkable Achievement Citation- From Senator Pat Brown by Chief of Staff Ellen Kern. 2012 - Proclamation of Remarkable Achievement Citation- From State Representative Julie Harhart. 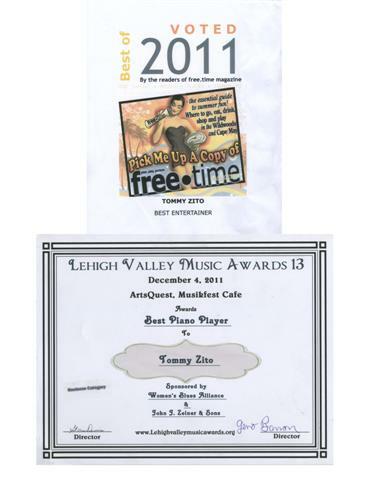 2015 - LVMA 16 - Best Keyboard Player and Best Male Vocalist. 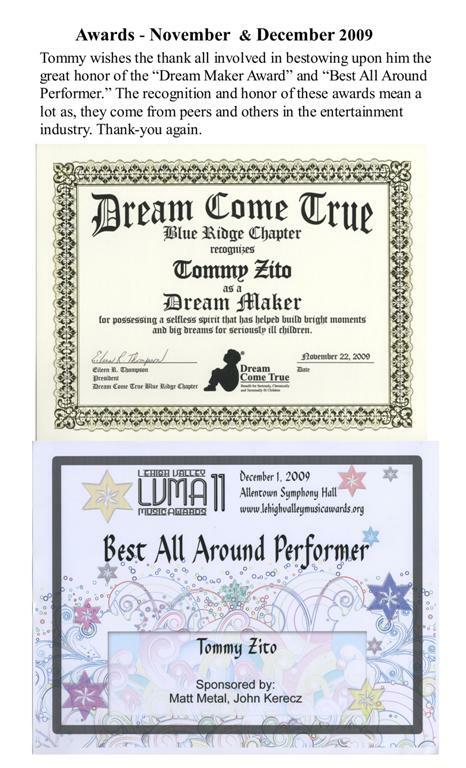 Tommy sincerely appreciates & thanks the Free-Time, Dream Come True and the LV Music Awards, his peers, friends and fans for their votes, hometown recognition and continued support. Thank-you again.